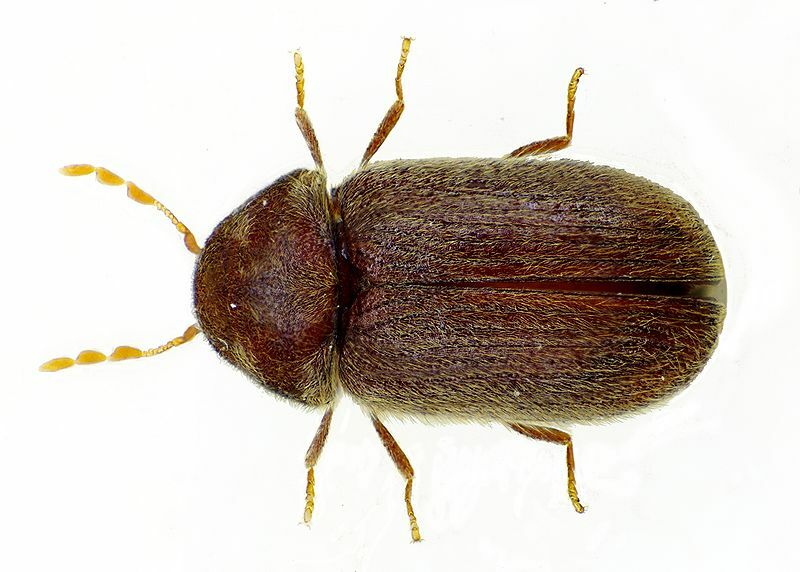 Bread Beetle and Drug Store Beetle are other names for the Biscuit Beetle Stegobium paniceum. 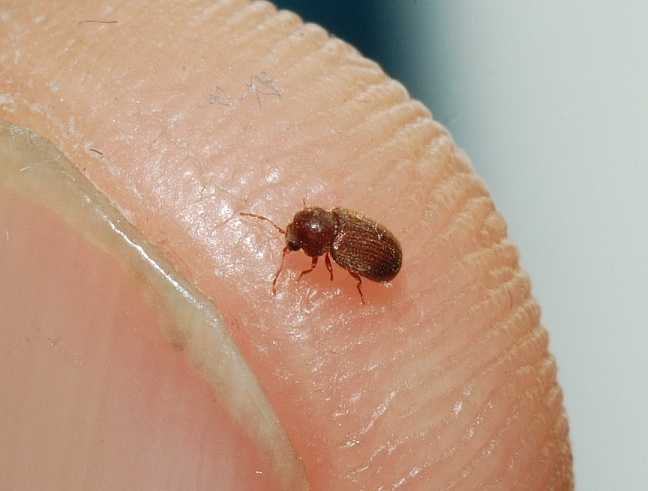 Adult beetles are between 2 and 3mm in length and are very simliar to Furniture Beetles and Cigarette Beetles. These beetles are pests to all sorts of dried food stuffs such as cereals, spices and chocolate. Biscuit beetles are good travellers, when they emerge as adults they will move around looking for a mate and will even fly off to find a new location and commodities to infest. Like similar pests Biscuit beetles have a relatively quick life cycle - between 12 and 33 weeks, which makes them capable to reproducing and damaging quantities of goods. Indentifying where the infestation is coming from and the extent of it is the first step. The removal of any infested goods to be destroyed is next. Good house keeping is essential and any spillages or residues must be cleaned. A full residual insecticide treatment of the area and surroundings is essential.All cracks and crevices require close attention too. Biscuit beetles are closely related to furniture beetles and can bore into the the fabric of the building. Female Biscuit beetles lay their eggs singulary and will produce upto 100. The larvae are quite active and will move around looking for food. When fully grown the larvae will measure about 5mm. The next step in the developement is for the larvae to spin itself a cocoon within which it will pupate. before chewing its way out as an adult.